If we only enjoyed deep fried treats once a year at the fair, this wouldn’t be such a huge deal (though I honestly can’t imagine a situation when deep fried butter would be acceptable), but we live in a world where people have their own deep fryers at home! And for crying out loud, why on earth would anyone even want to eat this? Now I am not going to pretend like I never go to Mc Donald’s or that I don’t let my kids have a corn dog when they go to the fair. But I also feel like my decision to make a small garden in the backyard so my kids are familiar with more than corn and green beans, along with my pursuit of outdoor activity with my children, help counter act any of the occasional food splurges they might have. How do I know this is working? Well for one thing my three year olds can actually identify most of the crops growing in the Centennial Garden. Considering the tiny number of fruits and veggies the average first grader in this country can identify, I think we are on the right track. I also know that when my daughter chooses roasted corn over every other food item at the fair, I am teaching her good habits. Okay. I am stepping off the soapbox for today…. And Delicious Baby’s Photo Fridays. Sometimes it takes a visit from an out-of-towner to appreciate all the great places that are close to home. Often times we get so caught up in traveling someplace far away and exotic, that we forget to stop and explore all that our local regions have to offer. I could probably spend a lifetime exploring the Southern California and still never see it all! Recently, we took my inlaws down to Balboa Island in Newport Beach for a day of seaside fun. For some reason, Southern California was protesting summer and had put on its grumpiest face. The days were filled with gloomy clouds that would not break, and the seas were angry; throwing giant waves at the shore in a form of protest against the weather. Lucky for us, glum weather is no match for the beauty of Balboa. Balboa Island is one of the most expensive places in the country to live and its no wonder why, its picture perfect. Charming bayside homes line the streets and frozen banana stands dot the main drag. Every time I visit Balboa Island, I can’t help but think of the idyllic town of Seaside, the town that Jim Carrey’s character in The Truman Show called home. Adding to the picture perfect streets were flags and other sorts patriotic decor left out from the Independence Day celebration the day prior. We found a parking spot (which can often be a precious commodity on this island come summer) and strolled along the canals towards the bay, admiring the white-trimmed houses and taking guesses at how many millions each one would set us back. Soon we reached roads end and hopped on board the tiny ferry which shuttles 3 cars and a couple dozen sightseers across the channel to the Balboa Peninsula. Immediately the kids wanted to hit up the rides at the Balboa Fun Zone. Mari took the obligatory ride on the carousel while Ben opted to try something a bit more thrill seeking (well, for a toddler)- the ferris wheel. Paul couldn’t resist buying a package of that pink fluffy pillow of sugar that people pass off as food and the kids were happy to stuff themselves with as much as they could pry out of their Daddy’s hands. We played the usual arcade classics such as skeeball and shoot-the-hoop, and marveled at the skills of our pint sized athlete. Look for Ben, in some event or another, in the 2024 Olympics. Then we headed over to the pier to pick up burgers at Ruby’s, a pier’s end mainstay here in Southern California. The 50’s themed diner may be a chain, but it certainly does seem to fit in with throwback feel of the peninsula. While chomping on burgers and watching the kids play on the playground, we couldn’t help but notice a sudden exodus of wet tourists carrying soaked towels away from the beach. We went over towards the surf and marveled at the sudden absence of the people which had previous occupied the sand with their towels, umbrellas, and beach chairs. The reason? A monster wave had just hit the shore and carried itself all the way to the lifeguard stand! We decided to stick around and watch the surf to see if we could catch a glimpse of something as equally impressive. Sure, the waves were much bigger than normal, but at first glance they appeared to be nothing outside of what one would normally see before a storm hit the coast. Suddenly, the sets got bigger. MUCH BIGGER. While I stood there exclaiming “Wow” over and over, my husband had the foresight to grab the camera and wait with his eye in the view finder for the “big one”. It was enormous. It made every other wave I had ever seen look like a dwarf in comparison. The wave came within a few feet of the top of the pier and probably gave those who happened to be standing near the rails quite a thrill! Once again, Mother Nature reminded us all who was boss. If you visit Balboa, you probably won’t see monster waves or gloomy days. 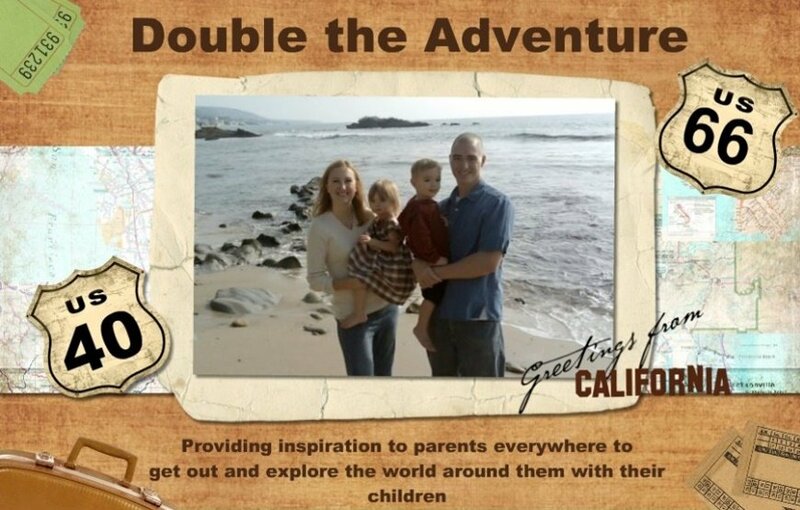 What you will see is a great spot to spend a day together as a family and a fine example of what makes California so special. If your family makes an annual pilgrimage to Disneyland, consider skipping the theme park madness for a day and hitting up this gorgeous spot on the golden coast. I promise, Mickey will do just fine without you. 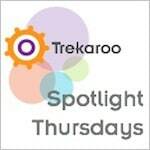 Playing along with Trekaroo’s Spotlight Thursdays. 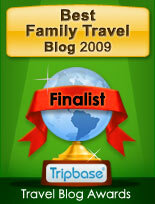 Click on the link and find more great family friendly travel fun! Also playing along with Delicious Baby’s Photo Friday. I have a confession to make- I sort of have an obsession with outdoor survival. Maybe its because I have watched one too many episodes of Survivorman. Or maybe it goes back to my childhood days spent pretending to be a pioneer on the prairie. Either way, I love to learn as much as I can about wilderness survival and hope to one day put those skills to use. Since I currently spend most of travels with a couple of three year olds, remote backpacking with nothing but a swiss army knife and some freeze dried food is not really practical. However, there are some products that I have which do relate to practical survival while hiking with children, especially when hiking alone. The first is a filtered water bottle. I love my Ech2O Water Bottle by Get the Bottle because I can use it to filter anything from tap water to river water and know that my family won’t get sick in the process. If we ever get into a situation where we get stranded, I at least know I can provide them with safe drinking water (as long as we aren’t someplace with no water at all). The second thing I love to carry with me is a swiss army knife. My husband gave me a knife (or multi-tool as us survival “experts” like to call it) a couple years ago and it has been great, but their must be some extra testosterone flowing through my blood because lately I have been craving something bigger and better. Lucky for me, the people at Dual Pro X contacted me and let me have a chance to try out their Victorinox Dual Pro X. This multi-tool rocks! I feel like I am constantly discovering new gadgets which is incredible considering how lightweight this tool is. I can throw it in my backpack and not worry about it adding any significant weight. On hikes we have used it to strip twigs from large sticks and create customized walking sticks for the kids, dig splinters out of tiny fingers, and open a canned goods on the trail. While I haven’t had any dangerous instance come up on the trail since I have started carrying the Dual Pro X, I do feel safer knowing I have something that provides some protection should such an instance occur. In addition to life in the great outdoors, the Dual Pro X has also come in handy at home. I can never seem to find my husband’s tools when I need to unscrew one of those pesky battery covers on the kid’s toys and luckily now, I can just use my multi-tool! I have also found myself grabbing the tool to open packages and even open a bottle of beer. I really can’t recommend either one of these products enough and I think they are great values for the price. For more information on the Ech2O Water Bottle click here. For more info on the Dual Pro X swiss army knife click here. HERE”S A TIP: Fan the Victorinox Swiss Army Facebook fan page and participate in Share the Adventure for a chance to win great products and compete for a $25,000 Ultimate Adventure! A chance to win $25,000!!! Why wouldn’t you do it? Disclosure: I was provided with both the Dual Pro X and the Ech2O Water Bottles to review (I reviewed the Ech2O for Trekaroo) but neither company asked that I express a particular opinion and my opinions of both of these products reflect my honest feelings towards these products. This is a Sponsored Post written by me on behalf of Victorinox Swiss Army. All opinions are 100% mine.